16 Step is the next incarnation of the Halloween Hop to be debuted at the Museum of Boulder on April 6. It is a multiplayer musical instrument that you can walk / jump on. Vibration sensors are used on each hexagonal step to detect footfall. Each of these 16 steps creates a MIDI signal that will trigger a sound. Musical patterns emerge from the physical movement and digital echo. The steps are tuned to a pentatonic scale and drum sounds, making for a rhythmic and improvisational instrument that anyone can play. 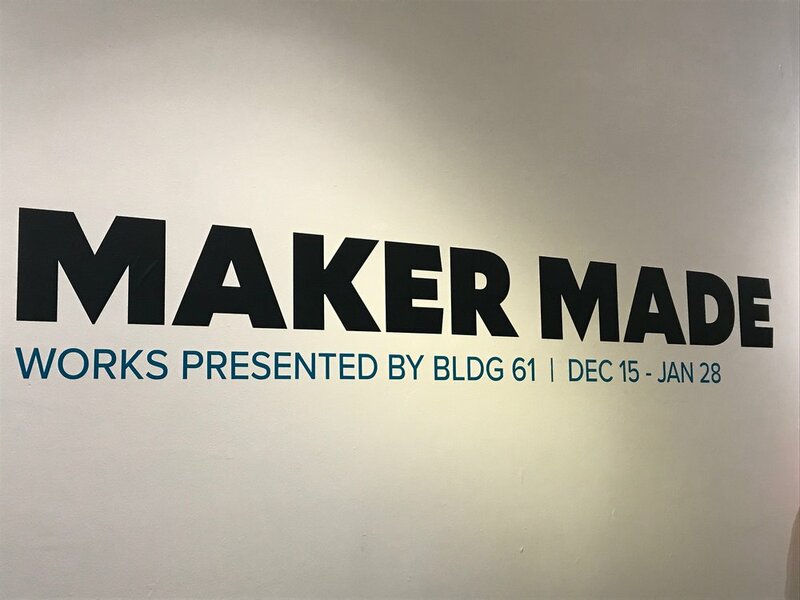 I got to participate in a fun and eclectic show at the Canyon Gallery called Maker Made. It was curated by folks in BLDG 61, the Boulder Public Library makerspace. I created a new system that I hope to build on for a sound show at the Dairy Center for the Arts later this year. Stand in front of it and it will generate beats for you, mixing it up every few measures. Step aside for quiet or dance in and out of view to turn the drum machine on and off. Our neighborhood is crazy on Halloween with hundreds of kids filing through. For a few years I've put out various noisemakers, this year I made it interactive. I built sixteen blocks that you can jump on to trigger tones and drum sounds. It was a blast to see so many people, young and old, pirates and unicorns, having fun with it. The blocks are 2x12 boards cut to squares with vibration sensors mounted to them. I used a propane torch for my first attempt at the Japanese wood charring technique Shou Sugi Ban. This brings out a striping as different parts of the grain char more or less depending on the hardness. The a microcontroller that turns the signal into a MIDI trigger. Sound design for the videos above was done in Max/MSP. Well, you don't need to take your shoes off to jump on this instrument either. beatBox DIY was created as a donation for the Dairy Arts Center fundraiser Co(i)nspire. It is made to be modular so you can change the instruments. The beatBox DIY is played by covering light sensors. 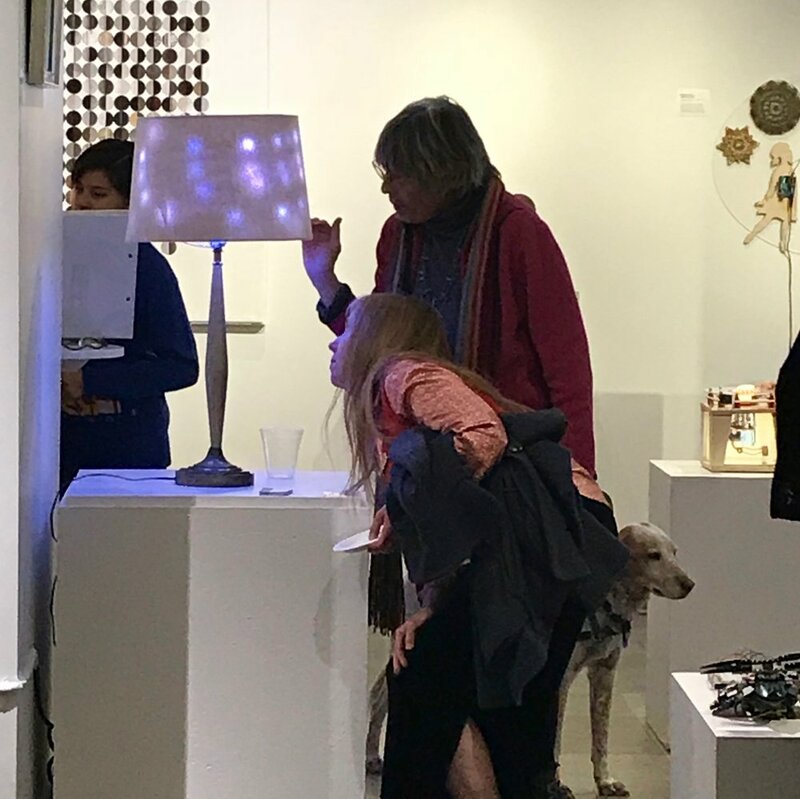 Listening Lamp is a work in progress for the Co-inspire event at the Dairy Center for Arts in Boulder, Colorado. It consists of 150 color addressable LEDs that respond to sound. 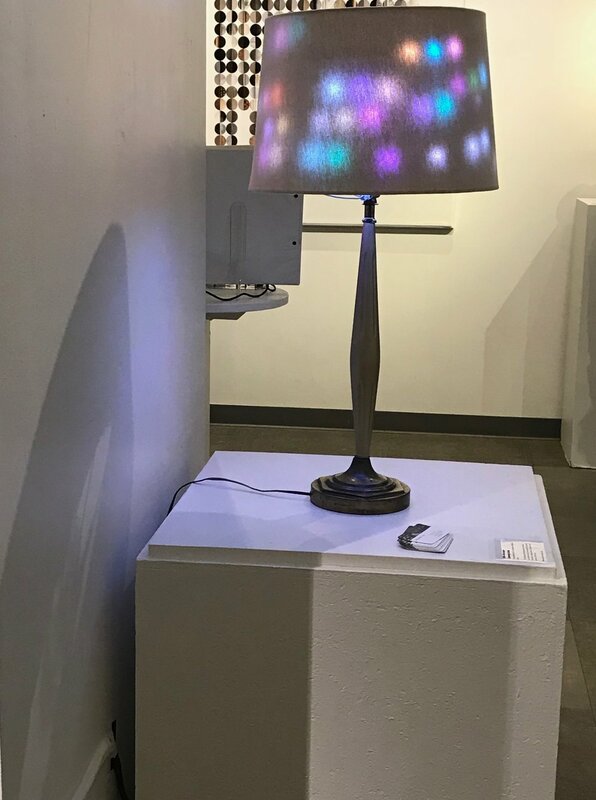 The sound reactive Listening Lamp is enabled by 240 RGB addressable LEDs, microphone, microcontroller and a trip to the flea market. The lamp went out for a test drive at eTown Hall in Boulder, CO for the Dia De Los Muertos celebration and fundraiser. The Wreckord Player intercepts the audio from the record and runs it through a Raspberry Pi computer with a granular synthesizer. The volume and tone knobs control some parameters of the synthesizer. This was my second time performing at the annual Guthman Musical Instrument Competition. Special thanks to Abhishek Narula for helping build the beast and for showing me around Atlanta. For this performance we had a total of 24 motors of various shapes and sizes beating on and shaking metal, bottles, drums, and the grid above the performance space. The music here is an improvisation where I'm controlling the motors from a MIDI controller and some light sensors feeding musical algorithms in Max/MSP.